Cosequin for dogs has become one of the most popular forms of treatment recommended by veterinarians for dogs of all ages and activity levels. Since a dog's joints endure a tremendous amount of wear and tear during its lifetime, anything that you can do to help guard against the natural breakdown of those joints is a good idea. With its unique combination of chondroitin sulfate, glucosamine and manganese ascorbate, Cosequin offers everything your dog needs to keep his joints flexible, strong and healthy. Joint health is a concern for all dog owners, as almost all dogs will eventually suffer from some amount of joint-related discomfort at one point in their lives. Unfortunately, breakdown of the cartilage that provides protective cushioning for the joints is a normal side effect of aging. 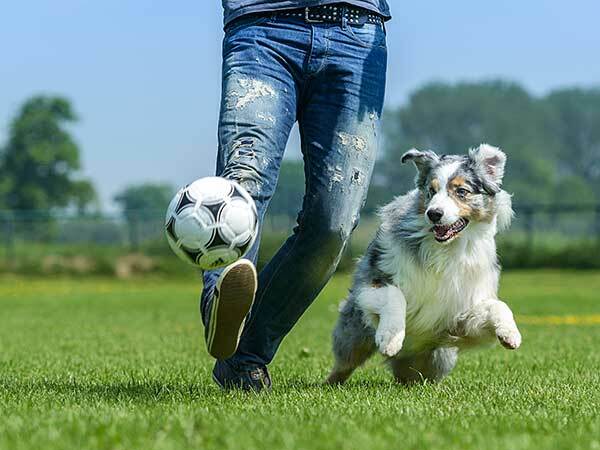 The joints can also break down due to regular, repeated motion from work or participation in agility training and competition, which is why active breeds like the Australian Shepherd may particularly benefit from joint health supplements. If your normally active dog begins to show signs of difficulty performing regular, everyday activities such as jumping up on a chair, walking up and down stairs or just getting up from a sitting or laying position, it may be a sign that his joints are aching. This is when you should consult your veterinarian about the possibility of administering a joint health supplement such as Cosequin for dogs. Your vet can make a recommendation about which product to use and in what dosage so that your dog can get the help he requires. Cosequin might be just what your Aussie needs to help maintain joint health. Though joint inflammation and degradation is something that humans and dogs have in common, the medications and supplements used for promoting good joint health in humans may not be exactly the same as those for dogs, so you should never give your dog a human supplement. Instead, consult with your vet about using a supplement that is designed specifically for dogs. 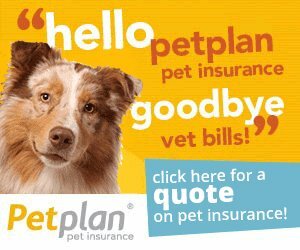 This way you can be sure that your pet is getting exactly what he needs and won't have to worry about potentially serious side effects. Should You Include Cosequin For Dogs As Part Of Your Aussie's Joint Health Program? When it comes to supplements, Cosequin for dogs stands out from the rest because its patented combination of ingredients is designed specifically to provide the maximum benefit for aging and overworked joints. The glucosamine is a building block of cartilage, supplying a key nutrient that keeps cartilage healthy and functioning properly. At the same time, the chondroitin blocks enzymes that work to break down cartilage and the manganese ascorbate helps to optimize production of cartilage components. While there are some dog foods that contain glucosamine and chondroitin for joint health, these foods alone are not enough to provide your dog with all that he needs. This is why supplementation is often recommended and most vets agree that Cosequin is by far the most effective supplement on the market today. If you are concerned about maintaining your dog's joint health, ask your vet about the possibility of adding Cosequin to his regular routine. It is nearly impossible to avoid wear and tear on your dog's joints, especially for active breeds like the Australian Shepherd, but you can help to improve joint health by using Cosequin for dogs. With the use of these supplements under the guidance of your vet, you should be able to keep your pet happy, healthy and active throughout his life, which should make you both feel better.